The seal of approval linked to this page signifies that Traffmagic is a current buy traffic guide member who has been operating in accordance with buy traffic guide criteria for honest, real, and professional traffic provider sites. 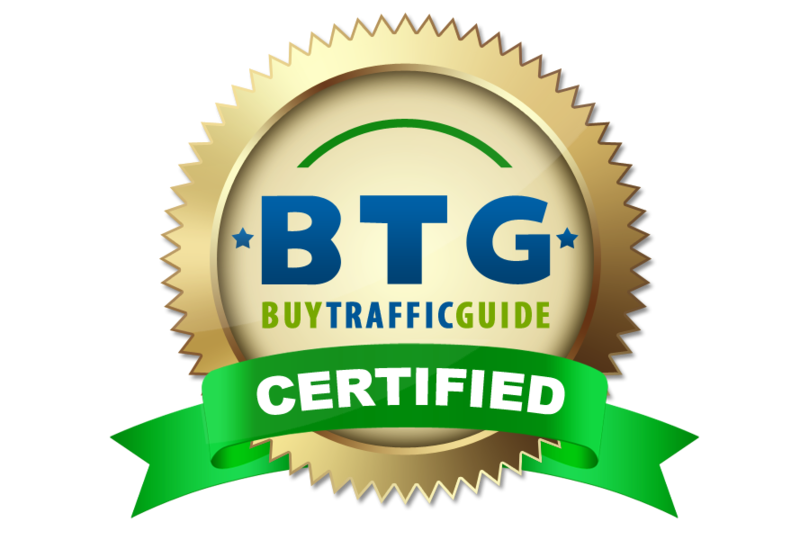 Traffmagic has been given buytrafficguide.com seal of approval in February 5, 2014. If you have experience with Traffmagic, either positive or negative, please share your opinion with your fellow users at buytrafficguide.com. If you believe Traffmagic has failed to uphold the required criteria or rectify any mistakes it has made, please post your observations in the buytrafficguide.com review section of site name, so they can respond.